'...we should prepare for the spectre of impeachment to rear its ugly head in 2019. The Democrats control the US House. The Republicans control the US Senate. Theory suggests that, if the Democrats pass an impeachment bill, the Republicans will laugh at it. But, I wouldn't be laughing. The majority give the US government too much credit. Of course, there's more to the story. Republicans and Democrats are akin to Australia's Liberal and Labor. Career politicians stand for one thing. BIG government. We ― the Great Unwashed ― are viewed as mere mortals. Remember, Hillary Clinton called half of Donald Trump's supporters a 'basket of deplorables', according to the BBC on 10 September, 2016. Speaking at a fundraiser, she said they were 'racist, sexist, homophobic, xenophobic, Islamophobic - you name it.' If someone wanted change from an over-promising government, and voted for Donald Trump, they are a deplorable. We ― the deplorables ― are laughed at by the political elite. Remember the last Australian election? Liberal and Labor came into it with zero policies! It was a joke. We ended up with a hung government. Career politicians couldn't care less about anything but themselves. Oh, and getting votes at the next election. They don't like change. They like things as they are. Trump is a threat to the US political establishment. I believe they are desperate to get him out of power. That is, whether it's Democrats or Republicans. Career politicians want to return Washington to the former 'glory days'. That's when they could do whatever they wanted. Donald Trump isn't a career politician. Most of the 'club' didn't support him in the last US election. The Bushs didn't vote for Donald Trump. But that's no surprise. Trump isn't a member of the political elite. Trump is a billionaire career businessman. He's also on record for wanting to drain the swamp! The US has never been more divided. With Republicans controlling the Senate and Democrats the house, the US is a mess. It's looking at a dysfunctional government heading into the 2020 Presidential Election. I suspect we will see few policy achievements. The Trump administration is likely to be fighting controversy after controversy in the months ahead. That's exactly what happened when he started his Presidency, mind you. That drove the gold price higher. I believe history will repeat. 'Just one week into his new job as acting attorney general, Matt Whitaker is under siege. I believe career politicians from both political parties might refuse to work with Trump into 2020. That happened during 2017. Republicans voted against the repeal of Obamacare for example. Remember, Former US Senator John McCain came out of sick leave just to vote it down. His was the deciding vote. Trump is fighting an uphill battle against the political elite. In the event that Donald Trump is impeached ― most likely dishonestly by various factions of the political elite ― before the next Presidential election, we could see the greenback crash and the gold price skyrocket into 2019/2020. That's when I expect it to temporarily peak, before crashing during the next potential financial crisis. Still, with few connecting the dots behind the scenes, you're looking at a massive opportunity to buy the best gold stocks today. The yellow line shows the gold price. The black line shows the US Dow Jones Industrials Index. Gold tripled from its low of $60 per ounce to a high of US$180 during Watergate. It then crashed by 50% from 1974 to 1976. That's when a deep recession hit the US and the constitutional crisis was over. You could see a final gold bear market rally into 2020. That's when the next financial crisis or major political event could blow up. Gold, historically, rallies into major crises. It crashes during or following them. The yellow metal rallied during Watergate. Remember, there was a lot of uncertainty. Gold peaked when Nixon's aides were indicted in March 1974. That's when the unknown became known. Gold then started to crash, once Nixon resigned. The political crisis was over and a recession hit. The witch hunt against Donald Trump is unlikely to die down. 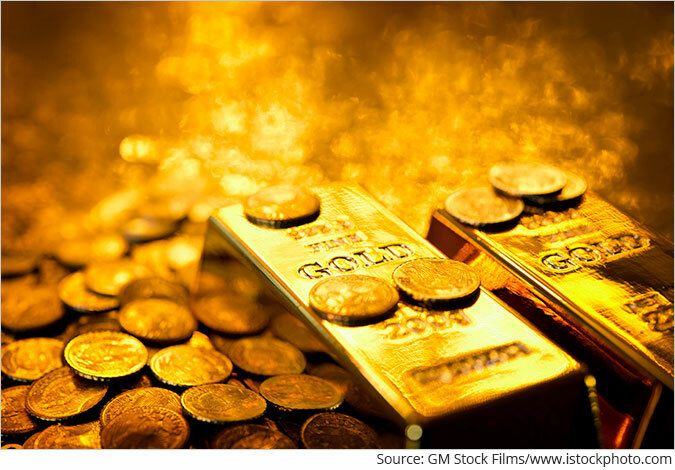 Looking at history, the final gold bear market rally could start late this month. If I'm correct, you should consider buying some gold stock today. A portfolio of precious metal stocks with the most potential could deliver superior gains into 2020. Please note: This article was first published in Markets & Money on 5th December 2018. Jason Stevenson is Markets & Money's resource analyst. He shares over a decade's worth of investing and trading experience across resource stocks and commodity futures and options. He originally studied accounting and finance at Curtin University, where he was awarded a first-class honours degree. His professional background stems across high-net-worth, top tier accounting (corporate finance, tax and auditing), and sell-side equities research. Before joining the team at Markets and Money, Jason worked at boutique firms which advised fund managers and high-net-worth clients on where to invest. Whether it's gold, crude oil, copper or an obscure metal like vanadium, you can rely on an in-depth analysis in Markets and Money. Jason also brings you extensive macro, political and geopolitical analysis from around the world. He leaves no stone unturned when it comes to telling the truth. We request your view! Post a comment on "The End Game for Trump & Gold". Thank you for posting your view!